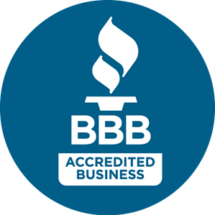 If you are on the hunt for a trustworthy, fast-acting, and professional plumber in Calverty County Maryland, A Better Plumber is here for you! We offer same day plumbing service performed by master plumbers trained and licensed in the state of Maryland. Our team of technicians is committed to providing quality plumbing service at the most affordable prices possible throughout all of Calvert County, MD. We are qualified to handle easy to fix plumbing issues such as clogged drains or backed up toilets to more involved jobs like slab leak detection and repair, and everything in between. There is truly no plumbing job too big or too small for the team here at A Better Plumber! Have a plumbing emergency that can’t wait? We’ve got you covered! We proudly offer 24 hour plumbing service in Calvert County and all of Southern Maryland! Rest easy knowing that we are available 7 days a week, 365 days a year, including holidays; day or night for emergency plumbing issues. We understand the stress that comes along with dealing with an unexpected plumbing emergency. Whether it’s a water heater that’s suddenly stopped working, or a pipe leak that has water coming up through flooring, you want an experienced plumber to resolve the issue for you straight away. Never allow the problem to get worse by waiting. Instead call on a plumbing company that is reputable, professional, and affordable to fix the issue quickly. Here at A Better Plumber, our emergency plumbing service comes backed with a 100% guarantee. 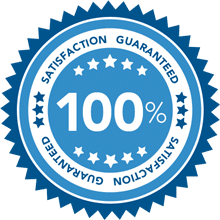 In fact, we believe in our services so much that if you are not completely satisfied with the work performed, we do whatever it takes to make it right, guaranteed. When it comes to slow draining tubs, backed up toilets, or kitchen sinks that just don’t drain like they used to, we’ve got you covered. Our clogged drain cleaning in Calvert County is second to none. Our process for diagnosing clogs & clearing them at the source is guaranteed to have your homes pipes flowing like new. Save time & money by going with the right plumbing company, the first time. Choose A Better Plumber to provide clear your clogged drains today! If you have noticed an unusually high water bill, or suspect a water leak is present in your home, we are the company for the job. Our team of dedicated leak detection experts can locate and repair any plumbing leak both quickly and affordably. With over 2 decades of experience in leak location we have the tools and experience necessary to find the source of your homes plumbing leak without causing damage to flooring and/or walls in the process. Hire the #1 Rated plumber for leak detection in Calvert County by calling (301) 278-8786 today! When you are in need of a plumber in Calvert County the chances are you are going to type something like “OK Google, find a plumber near me in Calvert County, MD” and you may add in “that I can trust” or “that is licensed and insured” or “that has a 24 emergency plumbing phone line.” No matter which one you add on, we should be your first choice since we fit the bill for all three and we can get to you in less than an hour. With fully stocked trucks at the ready and highly skilled plumbing technicians always on call, it’s no wonder why A Better Plumber is the #1 Rated local plumber in Calvert County Maryland! In fact, over the years we have amassed over 35 reviews on Google with a 4.6 Star Rating, the highest aggregate star rating of any local plumbing company with the same number of reviews! In need of a fast, affordable, honest, & proffesional plumber near you in Calvert County Maryland? Give A Better Plumber a call today at (301) 278-8786. Our team of local plumbers are standing by ready to serve you!